It’s official. 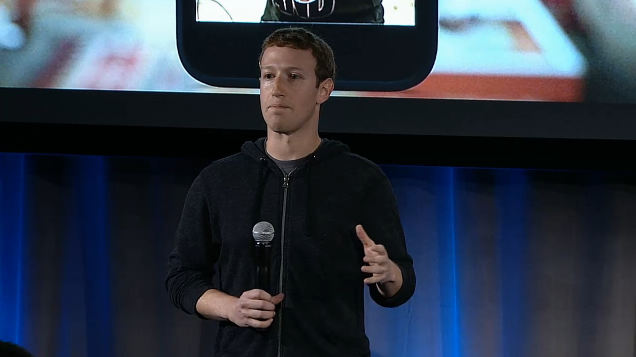 Today Facebook unveiled Facebook Home to the world and if you’re into social media prepare to be pleased. Rumors have been flying around the web for weeks, and we’re happy to say Facebook didn’t announce a Facebook phone today, but a home screen launcher that looks to socialize your favorite Android device. Facebook Home looks to be like a lot of other home screen replacement apps which means it changes the look and feel of your device. 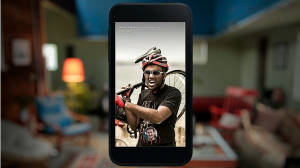 In the case of Home, you’ll be getting the full Facebook experience as the app integrates itself into your device with features like Cover Feed and Chat Heads. Cover Feed gives you updates in the form of huge pictures from your friends straight on your homes screen, as you can see from the pic it looks nice and right there in your face. Chat Heads is a new Facebook messaging service of sorts and it ensures you can stay in contact with your friends and family at all times. It uses little “Chat Head” icons that will allow you to message somebody instantly without having to switch back and forth between apps. It’s an interesting way to do messaging, and you’ll be able to use gestures to handle certain things like moving things around and deleting chats in bulk. Facebook Home is definitely interesting, and while I’m not a huge fan of BookFace in general I’m glad it’s not an actual phone. Mark Zuckerberg said. “Our phones today are designed around apps, not people. We want to flip that around.” A home screen launcher seems the right way to do that “if” you want to be fully immersed in Facebook at all times. 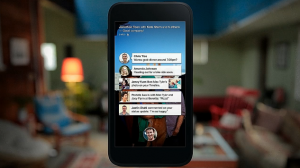 Facebook Home will hit Google Play on April 12, and we’ll have a full rundown of the new features when it arrives. If you missed the event and want to hear about the news straight from Zuckerberg and the gang you can check out the video below.